Relaxing Shannon Cruising excursions with full bar, tea and coffee facilities. 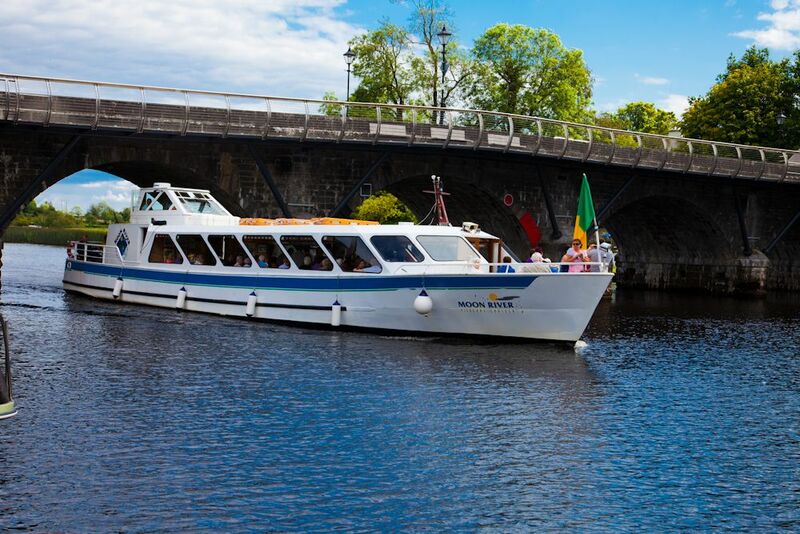 Located in picturesque Carrick-on-Shannon, Moon River offers the ultimate experience to the visitor travelling on the Shannon. Even the temperamental Irish weather is kept at bay by the totally enclosed viewing lounge. This 1 hour round trip on the Shannon is one of the most pleasant ways of spending your time in Leitrim. Dedicated and fully trained crew will tend to your every requirement. An entertaining pilot will talk you through your trip on Moon River explaining points of interest and folklore of the area while you relax and enjoy the scenery, coffee (or something a little stronger) and a snack.